Core Shooter Machine is for the production of high quality cores. 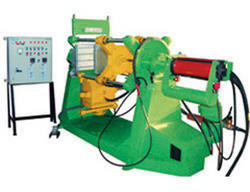 The machine is designed to produce the cores at high speed. Operation is by pneumatic or hydraulic supply and each auto operation is controlled by an Electrical Sequence Panel. Depending upon our crew of assiduous professionals, we have been able to offer Automatic Hot Box Core Shooters in conformation with the international quality standards. Our company holds immense experience in this domain and is involved in presenting an enormous quality range of Core Shooter to our customers. To retain our goodwill in client's consideration, we are manufacturing an excellent quality range of Shell Core Shooter Machine. With our vast experience & knowledge in this field, we are engaged in manufacturing and exporting a quality-assured range of Auto Core Shooter Machine. - Pedestal & Cradle Frame are made from Heavy Structure. 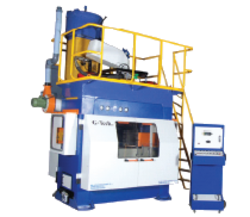 we are from neelakanteshwara engg works, harihar( karnataka ). . We are providing a quality core shooter machines of all sizes you required. The cost of each machines depends on that machine size. We are providing machines of lower cost and best quility..